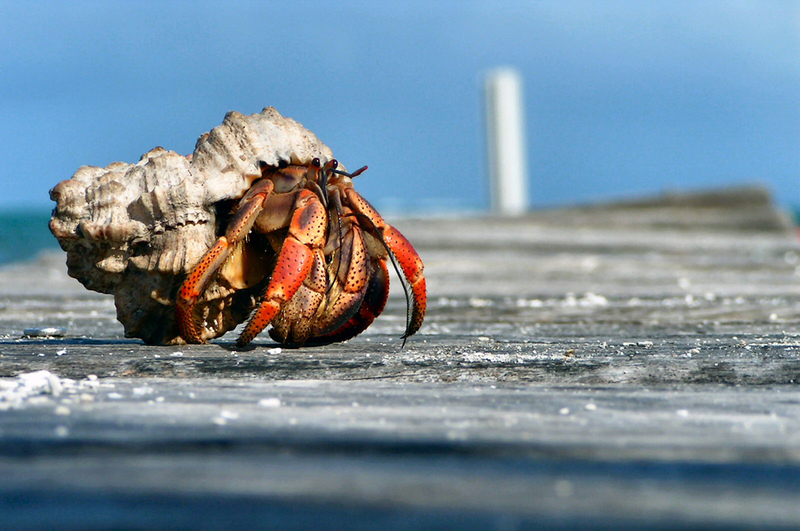 A round-the-world trip after university fostered an obsession with travel which in turn sparked my love of photography – it all really began when I managed to capture this photo of a Hermit Crab in Caye Caulker, Belize back in 2004. Whilst I love many forms of art I am largely rubbish at it myself – I have a singing voice once assessed by my childhood piano teacher as spanning roughly 3 notes an octave and a half below middle C, and it hasn’t got any better with age. I wouldn’t know which end to hold a paintbrush, and my attempts at drawing would embarrass a 5 year old. Whilst I profess no serious talent with photography, it does at least give me a creative outlet which produces results which (usually) don’t induce tears and reproach from my nearest and dearest or the viewing public in general. I got into Urban Exploration in mid 2013, and my first unexpectedly successful explores were the inspiration to learn the basics required to design and create this blog. My site also underwent a slight revamp in April 2017 thanks to many hours of input from my brother-in-law Mark – thanks again mate! I’ve shot with various cameras over the years, from the 3 megapixel compact which first got me hooked to my current main setup (from explores #57 onwards) of a Canon 5Dmk3 with 16-35mm L and occasional use of other lenses. I also use a Sony RX100M2 compact from time to time. I will never give out any information not already volunteered in my posts. Such information is deliberately withheld to protect such locations from unwanted attention and the theft and vandalism which occurs with depressing frequency. My advice to anyone thinking of getting into Urban Exploration is to get out there and do it – just make sure you take the necessary safety precautions and know your limits (even if you decide to push them!). Each of us has the freedom and power to define what it is we want out of such a pastime – be that climbing up cranes, wading through sewers, or admiring the peeling paint in an asylum’s corridors. 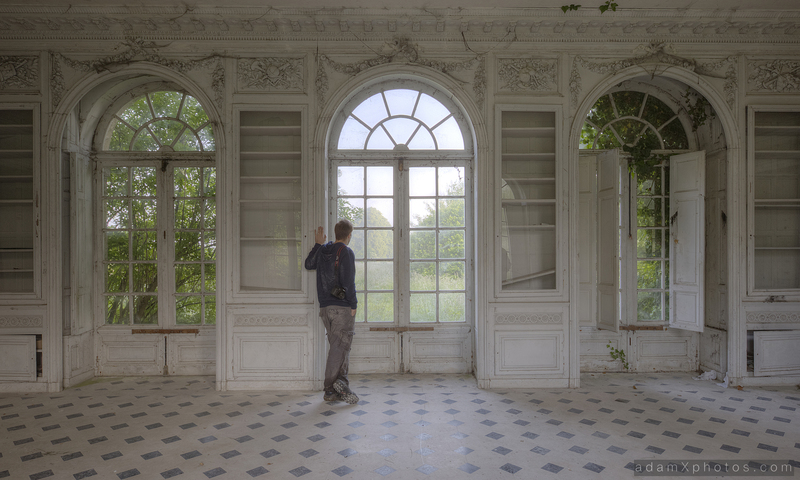 For a comprehensive and brilliantly-written introduction to Urban Exploration, I would definitely recommend having a look at my good friend Urban X’s website, and his FAQs. Thanks for looking, and any (constructive) feedback always appreciated and gratefully received. I like your work – good job on both the finding of locations and the image captures. Thanks Robert – much appreciated. Thanks Lex – yes was great to meet you guys, and hope to bump into you again sometime soon! Hi. Exceptional work – I have located an image I believe to be yours and would like to use it as a header for my WordPress site please. Could you contact me. Thanks Christopher. You can email me at info@adamxphotos.com with further details? I have a question. You were in Granthotel Atlantis, Germany, but I can not found the place of hotel. Do you have GPS location? Thanks for answer. Beautiful work. If I ever need some locations for a post apocalyptic zombie film I am coming your way! Thanks Leo – very kind! Hi, Adam, beautiful pictures, really like them. I would like to use one of them in my master thesis. what are your copyright details ? Many thanks! Hi Adam, love the site! I live in Gray’s , Essex and there is an abandoned cinema you might be interested in ,It opened in 1938 as one of the most modern cinemas of its type at the time with seating for 2200 people. The cinema officially closed in 1988 but has held numerous events since including being used as a nightclub, however the building has now fallen into disrepair and is no longer in use. Thanks Gary – I’ll check it out! © Adam X 2019. Allegiant theme by CPOThemes.